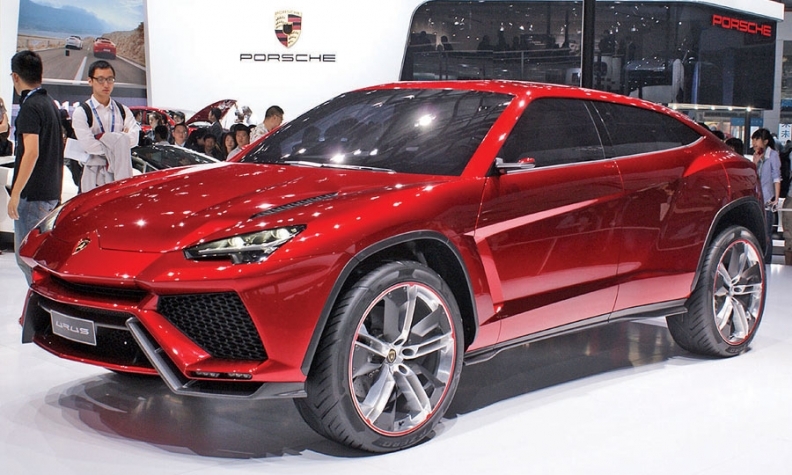 Lamborghini previewed its new SUV with the Urus concept at the 2012 Beijing auto show. MILAN (Bloomberg) -- Lamborghini is set to announce Wednesday that it will build a new SUV in Italy after reaching a deal on tax breaks with the Italian government, sources said. Lamborghini chief Stephan Winkelmann and Rupert Stadler, the CEO of its parent company Audi, are scheduled to attend a press conference in Rome on Wednesday with Italy's Prime Minister Matteo Renzi to announce the agreement, people familiar with the matter said. A Lamborghini representative declined to comment. In exchange for Lamborghini’s plan to hire as many as 500 people, Renzi’s government will grant as much as 80 million euros ($87 million) in tax breaks and other benefits to expand production in Italy, the people said. Audi is seeking to broaden Lamborghini’s lineup beyond two-seat supercars, which have limited appeal in emerging markets such as China, where road conditions can be poor. It will be Lamborghini’s first SUV since production of the boxy LM002 -- the so-called Rambo Lambo -- ended in 1993. Lamborghini met several times in the last few months with representatives of the Italian government before making a final decision on the production of the SUV, people familiar with the matter said earlier this month. To cut costs, the chassis and other key components are set to be produced at Volkswagen Group factories, such as in VW's plant in Bratislava, Slovakia, which builds the Audi Q7 and VW Touareg and the frame for the Porsche Cayenne SUV, sources said. All three SUVs share the same underpinnings. Lamborghini's SUV comes as the increasing wealth of the world’s rich led to record sales last year for most major luxury carmakers. For Lamborghini, deliveries rose 19 percent to an all-time high of 2,530 cars. Lamborghini has previously said it has the potential to sell 3,000 SUVs a year, more than doubling the size of the brand. The model will compete against other ultraluxury SUVs such as the Maserati Levante and Bentley Bentayga. Lamborghini renewed a labor contract with Italian unions on May 22.